The vast majority of students with Asperger’s (AS) and High Functioning Autism (HFA) receive their educational experiences predominantly in general education classrooms. Thus, general education teachers are primarily responsible for the education of these “special needs” students, although frequently with the support of special education teachers. In many ways, students diagnosed with AS and HFA are well qualified to benefit from general classroom experiences. They typically have average to above average intellectual abilities, are motivated to be with their fellow classmates, and have good rote memory skills and other assets that bode well for their educational success. However, all too frequently, these young people have significant problems in academic performance, and some have learning disabilities. The reasons for these problems often are related to the social and communication deficits connected to AS and HFA. These challenges make it difficult for them to benefit from general education curricula and instructional systems without support and accommodations. But, with suitable support, most of these “special needs” students can be successful in school, and many are able to attend college and enjoy a variety of successful careers. Many teachers fail to recognize the special academic needs of young people on the high-functioning end of the autism spectrum, because they often give the impression that they understand more than they do. Thus, their ability to word-call without having the higher-order thinking and comprehension skills to understand what they read, parrot-like responses, pedantic style, and seemingly advanced vocabulary may actually mask the deficits of these students. The actual materials that are used in a lesson are shown to the student the day, the evening, or even the morning before the activity is to take place. Priming also may occur just prior to an activity. A parent, resource teacher, or trusted peer can serve as a primer. It is generally recommended that the actual teaching materials be used in priming. However, in some cases, priming can consist of introducing an upcoming task using a list or a description of the activities, not the actual materials. Priming is most effective when it is built into the student's routine. It should be done in an environment that is relaxing and should be facilitated by a primer who is both patient and encouraging. Finally, priming sessions should be short, providing a brief overview of the day's tasks in 10 to 15 minutes. 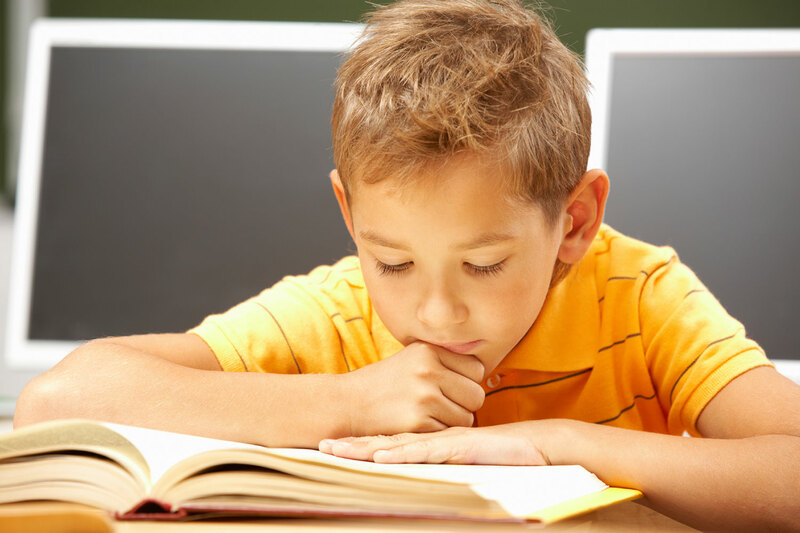 The amount of reading the student with AS or HFA is expected to complete should be evaluated. Students on the autism spectrum who sometimes read slowly and can’t discern relevant from irrelevant information spend an inordinate amount of time concentrating on facts that will not be tested and are considered unimportant. Highlighted texts and study guides help these young people maximize their reading time. Teachers also should consider identifying the information the student is responsible to learn for an upcoming assignment or test. Graphic organizers highlight important concepts and display the relationship between them. They provide abstract or implicit information in a concrete manner. Graphic organizers can be used before, during, or after AS/HFA students read a selection, either as an advanced organizer or as a measure of concept attainment. Three commonly used graphic organizers are semantic maps, analogy graphic organizers, and timelines. The focal point of the semantic map is the key word or concept enclosed in a geometric figure (e.g., circle or square) or in a pictorial representation of the word or concept. Lines or arrows connect this central shape to other shapes. Words or information related to the central concept are written on the connecting lines or in the other shapes. As the map expands, the words become more specific and detailed. For AS and HFA students who are younger or who require additional cues, semantic maps can use pictures for the key words or concepts. An analogy graphic organizer contains two concepts and their attributes. The teacher and student define how the two concepts are alike and how they differ, then draw a conclusion. Often the teacher has to assist the student in identifying attributes by presenting choices (either written or pictorial) from which he or she can select. This task can be completed individually, in small groups, or with an entire class. Timelines provide benchmarks for completing tasks and thereby aid AS and HFA students in budgeting their time. Timelines consist of a list of steps needed to complete the task with affiliated due dates. This visual representation enables the student and teacher to monitor progress toward project completion. Ideally, teachers enlist the aid of moms and dads in developing and monitoring timelines to ensure student follow-through at home. Research has shown that a greater percentage of students with AS and HFA have IQs in the superior range than is found in the general population. Thus, these young people benefit from enrichment activities because they already have mastered age-appropriate academic content. Enrichment activities can consist of having them learn the same content in much more depth and detail than their “typical” peers, or introducing new topics that usually are presented to older students. Teachers and moms and dads should work together to determine whether homework should be assigned, and if so, how much. Because students with AS and HFA need structure, it is often best for the teacher to assign tasks that they can complete in the structured school environment. If homework is assigned, an assignment notebook and a parent-teacher communication system will help moms and dads monitor their youngster's homework. In some cases, parents may have to model the task for their child, so teachers should ensure that the moms and dads understand their youngster's homework. To facilitate home-school communication, some schools have established a "homework line" that students and parents can call to hear an overview of assigned work. This system is ideal for students on the spectrum.